We've read 36 books so far in the history of Cook the Books. Most have been memoirs or novels, though a few mysteries, essays and children's books have spiced up the mix. I thought it would be fun to try a food-themed anthology for our next book selection, with the twin aims of letting us all stop and start our reading during the busy holiday season and introducing us to some new authors. 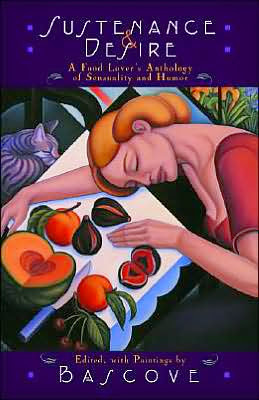 Bascove's compilation "Sustenance and Desire: A Food Lover's Anthology of Sensuality and Humor" is our next Cook the Books selection, and it features poems, excerpts from novels and autobiographies, short stories and essays that are grouped according to the editor's themes of Nourishment, Desire, Hunger and Sustenance. Whatever selection you choose from this book, I look forward to receiving your posts about the book and what dish(es) you were inspired to make by the deadline of February 2, 2015. As always, anyone is welcome to join our regular participants here at Cook the Books. 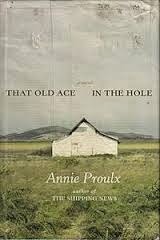 It's time for the roundup of Cook the Books' Club October-November 2014 edition for which we read That Old Ace in the Hole by Annie Proulx. Now, please, make yourself comfortable, then follow me on a little literary / culinary journey to an lesser-known area of the US. Though she had a hard time connecting with main character, Amy "absolutely loved" the fictional town of Wollybucket and all of its inhabitants "They were nutty and endearing and exactly what I’d expect from an isolated rural community!... Since I loved the town and all its wacky residents, I was inspired by some of the own home cooking that was mentioned in passing... I decided to go for the asparagus and noodles... 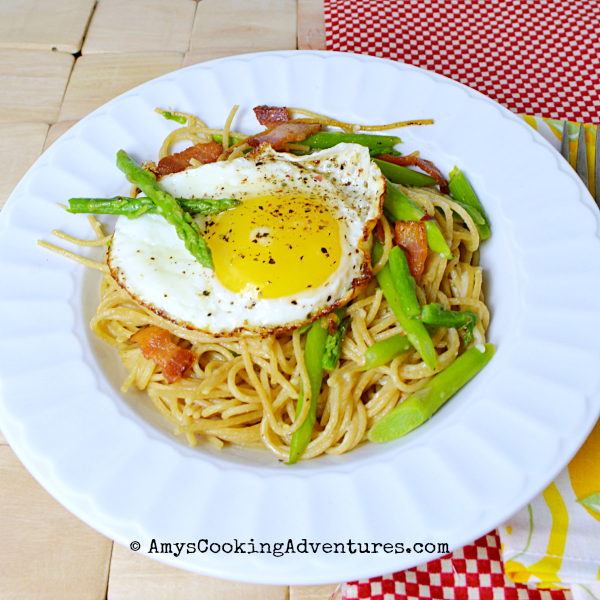 I ended up going for a simply dressed spaghetti with asparagus. And, of course, egg and bacon (because I love eggs and bacon…on EVERYTHING)." Joanne was inspired by the quilters' circle: "On Tuesday afternoons the Round Robin Baptist Bible Quilt Circle gathered at the house of one of the quilters." She imagined herself as one of the quilters and started craving Apple Pie "I have always wanted to try baking an apple pie in a bag!" and she got a recipe "from an out-of-print Keepsake Quilting Cookbook published as a charitable fund-raiser in 2001. Sounded like fun and it was!" 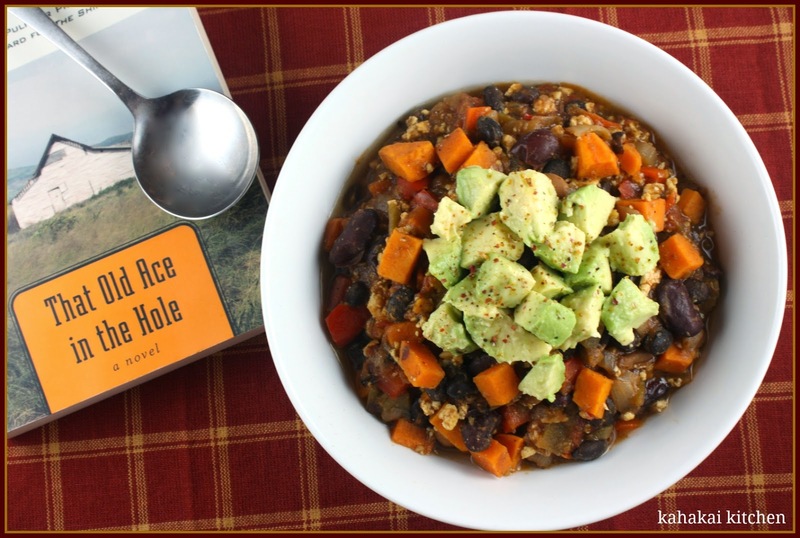 "One thing I can say about this book is that there was no shortage of food ideas. The entire story was filled with food references... In fact, a huge part of the story took place in the "Old Dog, a buffet style restaurant with different local specialties served every night. The Old Dog often serve Chile, as it is spelled in the book. 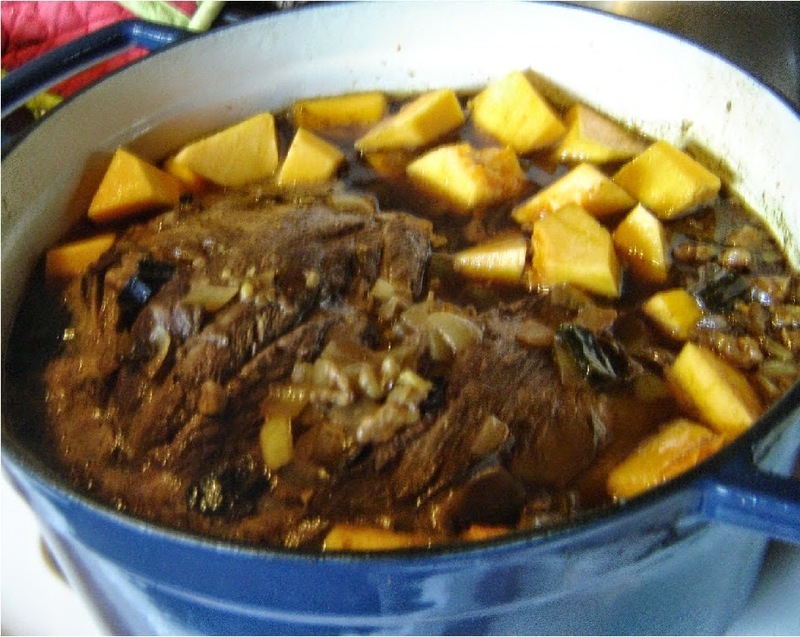 They often also ate game meat, including venison, and being down south corn bread was a staple. 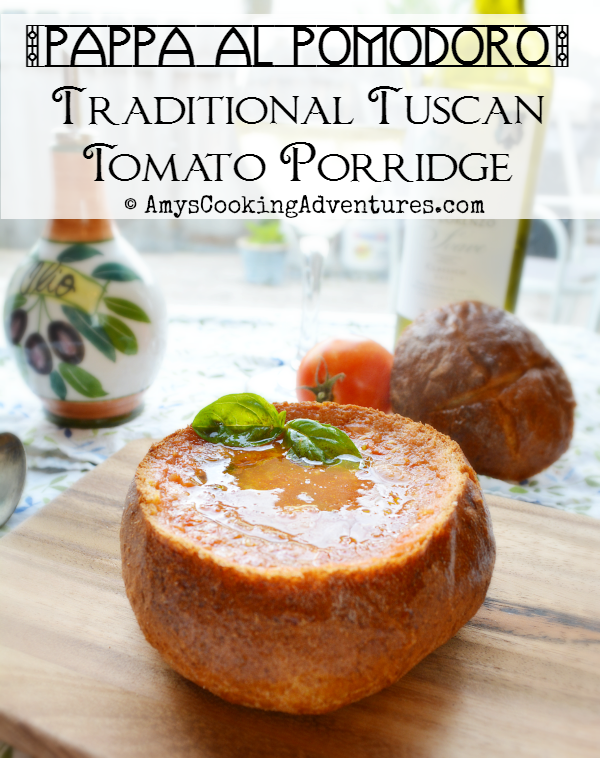 All of these things helped me to choose the recipes." 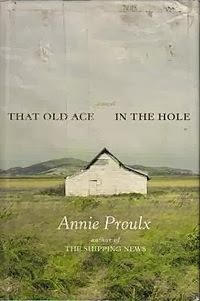 Rachel describes the book as "one of Proulx's trademark intensive explorations of a region, in this case the Oklahoma and Texas panhandles... After reading this book, I feel I have had an armchair tour of some of the dusty small towns, farms and landscapes that dot this sparsely populated area... 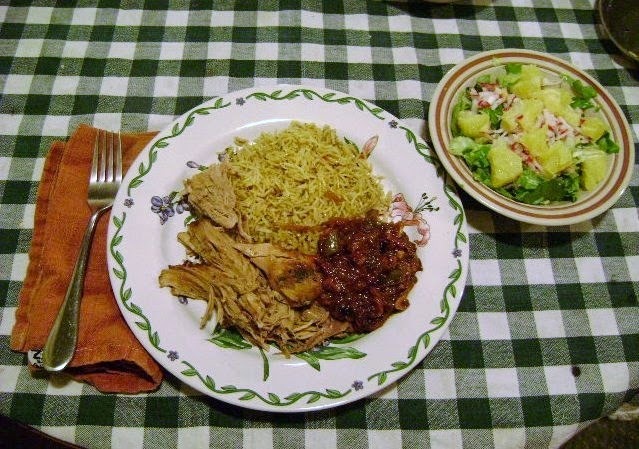 I went for a porky meal, a nod to small-scale pig farming discussed so eloquently in the book.... Pernil is great served with rice and beans and a little salad on the side with a citrusy dressing." 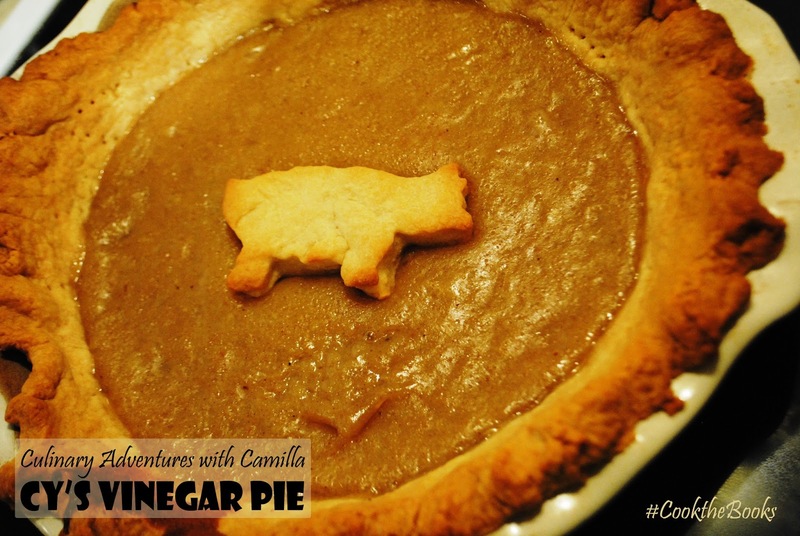 "I was most intrigued by the mention of vinegar pie. Really. Who would have thought to put vinegar in a pie? Apparently, though, vinegar pie is a traditional recipe. With a little reading, I discovered that vinegar pies have been around since the mid-19th century; they are a very simple dessert - a custard pie flavored with apple cider vinegar. I imagine it was invented out of a lack of ingredients. And, rest assured, it tastes far better than it sounds." "The author paints a vivid picture of the panhandles of Texas and Oklahoma, the people who live there, and their love of and pride in the land--despite all of the rough conditions... I grew attached to Bob Dollar and the interesting people he encounters and befriends and enjoyed the humor that Proulx infuses the novel with. 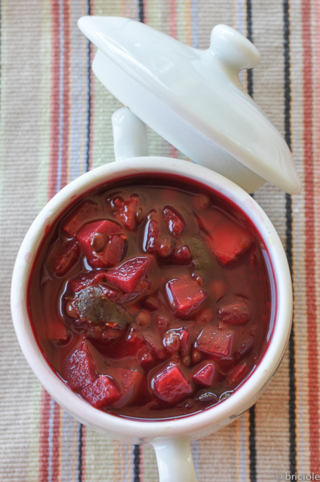 I knew I had to make a curry chili and the addition of the sweet potatoes came about from the mention of a small bag of yams that pioneer Martin Merton Fronk took with him on his journey from Kansas to Woolybucket to find dry air and a doctor to cure his breathing issues." Debra's mother grew up almost in the Oklahoma panhandle, so she has a first-hand experience of the environment described so vividly in the novel. "I still remember the arid dustiness of that time, huge grasshoppers that would rub your legs like sandpaper when you disturbed them, and always being aware and on the lookout for snakes. I also remember the colorful community members. This is a saga and worthy of the vastness of the barren prairie." Debra was attracted to Cy's Onion Pie, not quiche: "the guys here would not eat if I called it that, but if I say onion pie they like it. It’s the word pie." Simona was intrigued by an item on the Old Dog Cafe's menu: vinegar pie. 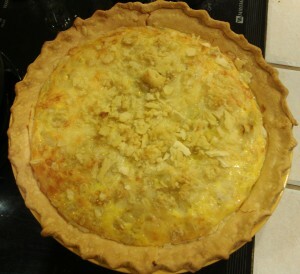 "The name seemed to describe a paradox, so I looked for more information and some recipes and then created my own version, which is not a pie, but a crostata (Italian tart), whose crust is made of pasta frolla (tart dough) and whose filling, the part where I kept closer to the tradition, is a vinegar-flavored cream... The result is a tart that tastes like nothing else." And now, I’ll turn things over to Rachel of The Crispy Cook for the December 2014-January 2015 selection: Sustenance and Desire: A Food Lover's Anthology of Sensuality and Humor by Bascove (2004). Announcing: The Next Four Cook the Books Selections! Hello Cook the Books Friends! Here are our next round of Cook the Books selections to kick off 2015 reading and cooking season. Your hosts Rachel, Deb, Simona, and Debra have picked out the following books for your inspiration and we can't wait to see what delectable dishes they inspire. Cadfael mystery series and the novels of Robertson Davies. I did not know that this singularly named artist was also an anthologist, and so I am pleased to invite you all to join me in reading and cooking from: Sustenance and Desire: A Food Lover's Anthology of Sensuality and Humor. This collection of poetry, short fiction and essays is adorned with some of her luminous paintings. We can all look forward to savoring the writings she has gathered from various classic and contemporary authors during the chilly months of December and January (our Hawaiian CTB members may not be so chilled as we are in the North Country!)." Deadline for this selection is Monday, February 2nd. "Longtime Cook the Books participant and my fellow Hawaii dweller Claudia of Honey From Rock requested we read a Ruth Reichl book a while back and so my pick this round is dedicated to Claudia. It was not difficult to choose Ruth Reichl, but picking just one of her books to read was a bit harder. I read and reviewed her first fiction book 'Delicious!' this year and enjoyed it but it made me really want to go back and reread one of her memoirs. I love learning how people get to their chosen dream foodie career and so I finally selected 'Comfort Me With Apples'--which tells of her journey from chef to food writer. Although this book takes up after her first book, 'Tender at the Bone' it isn't necessary to have read that one first (although it is wonderful too). This may be a reread for many of you too, but I look forward to seeing what this both funny and moving memoir inspires you to create." Deadline for this selection is Monday, March 30th. "Imagine this: Your husband wants a divorce and you lose your job. What would you do? This scenario actually happened to Robin Mather so she packed up, moved out of the city into a small cabin by the lake, and embraced a simpler life. 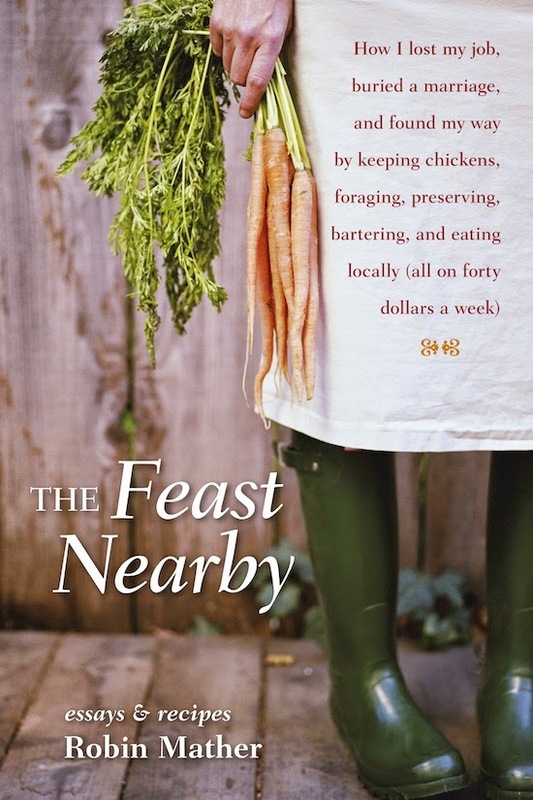 Mather writes of her journey in The Feast Nearby, a book of essays and recipes. In the author's words, it is a chronicle of "How I lost my job, buried a marriage, and found my way by keeping chickens, foraging, preserving, bartering and eating locally (all on forty dollars a week)." I will qualify this pick by saying it isn't a preachy locavore treatise. Instead, it is a book about living simply, quietly, and fully while reevaluating life. The Feast Nearby is a simple read that I hope you all enjoy. Although Mather’s essays are not necessarily strung together, there is a flow to the book as she chronicles her life from spring to winter on the lake. 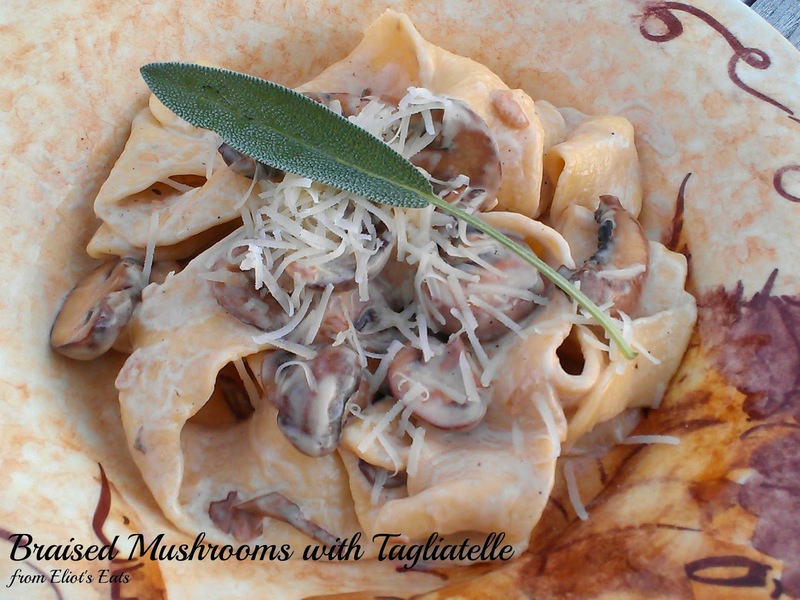 And, there are some spectacular recipes here!" Deadline for this selection is Monday, June 1st. "A few years ago, I read 'Blessed Are the Cheesemakers' by Sarah-Kate Lynch and quite enjoyed it. In fact, I featured it in a post. I therefore grabbed on to Betty's note on our suggested reading page to read another novel by Sarah-Kate Lynch, The Wedding Bees. 'Sugar Wallace has been running from her past for years, but in the nicest possible way.' Me: is there really a nice way of running from one's past? If so, I want to hear about it. 'Every spring she moves somewhere new and lightens the lives of whoever she meets using her magic weapons: good manners and honey.' Me: that sounds like a great plan. I want to read Sugar's secret. This is enough for me to want to learn more about Sugar and her honey. 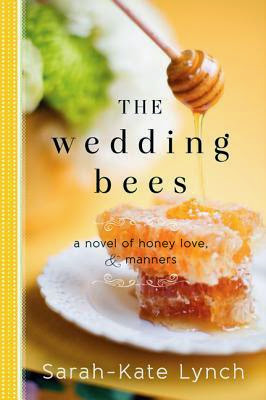 I was already a cheese maker when I read Blessed Are the Cheesemakers: who knows, maybe reading The Wedding Bees will get me interested in becoming a beekeper. Sweet reading!" Deadline for this selection is Monday, August 3rd. We hope you join us for some great reading, cooking and community. As always, we welcome everyone to join in. The only requirement to join in the Cook the Books fun is to read the book and blog about it, including making a dish inspired by its pages. A Thousand Days in Venice: An Unexpected Romance was one of those paperback novels that you pick up on those ubiquitous "Summer Reading" tables at the bookstore. Call these "beach reads" or "fun reads," I typically don't expect a whole lot from this genre. That being said, this "Summer Reading" table is where I was first introduced to Marlena di Blasi. 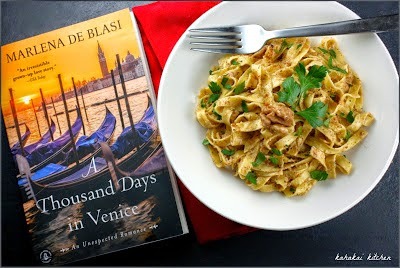 Di Blasi, a former chef from St. Louis, chronicles a solo trip to Venice, a trip in which she falls in love with the "The Floating City" and with a Venetian named Fernando. She speaks a little bit of Italian. He speaks less English. A Thousand Days follows her spontaneous decision to live life and share her heart with Fernando (“the stranger”), immersing herself in the food, culture and people of Italy. It is a love story between a man, a woman and a truly beautiful city. 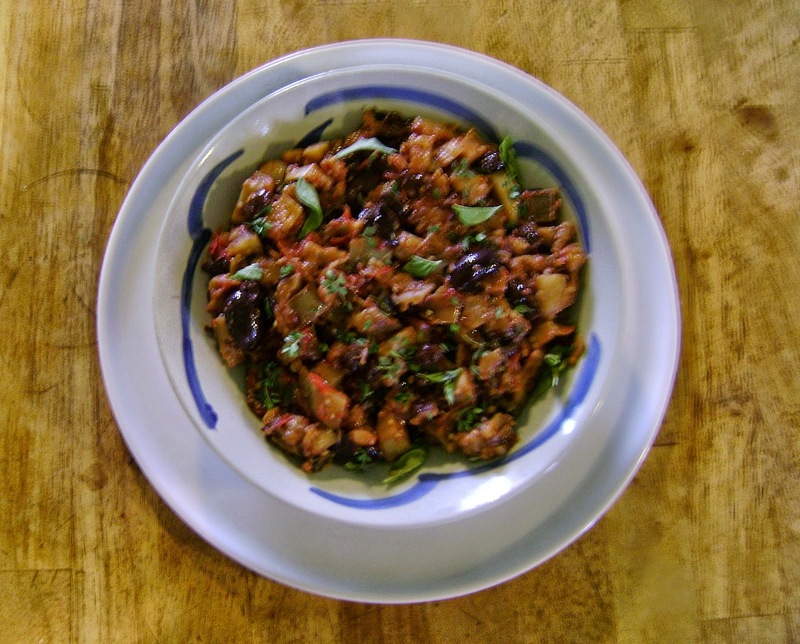 Di Blasi also includes some authentic recipes such as Prugne Addormentate (Sleeping Pears), Pappa al Pomodoro, and Porcini Brasati con Moscato (Wild Mushrooms Braised in Late-Harvest Wine) to name a few. In this very romantic memoir, she describes their exploration of the city, their developing romance, and the realization that they have both found their soul-mates. I soon became an über fan. A Thousand Days in Venice led me to the sequel, A Thousand Days in Tuscany, which led me to The Lady in the Palazzo, then to That Summer in Sicily, and finally Antonia and her Daughters. (All of these books follow Marlena and Ferdinand as they explore Italy together.) 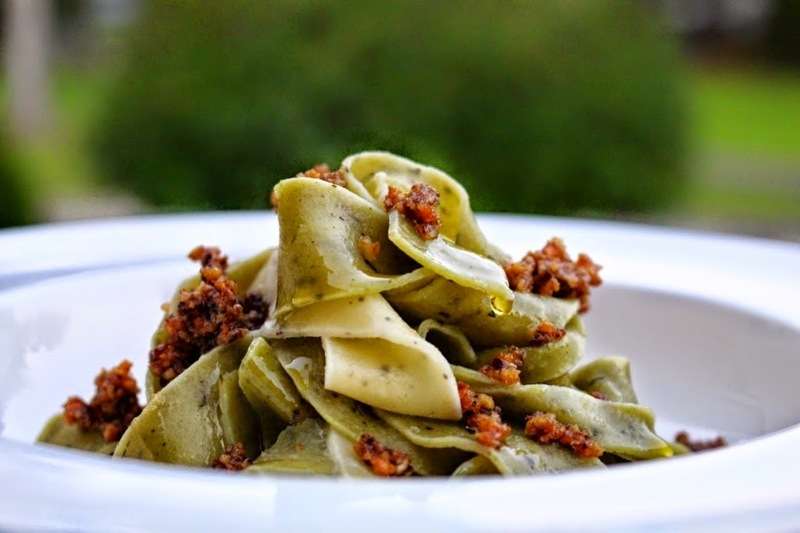 She is also the author of two regional cookbooks: Regional Foods of Northern Italy (a James Beard Foundation Award finalist) and Regional Foods of Southern Italy. 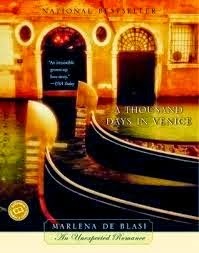 I am sure that re-reading A Thousand Days in Venice will spark me to pick up di Blasi's other books: Dolce e Salata (a book that falls between their adventures in Venice and Tuscany) and Amandine: A Novel. 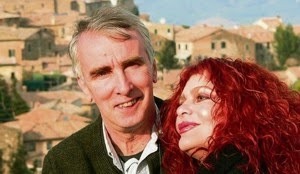 Di Blasi and Ferdinand currently reside in Orvieto, Italy. Submissions for this round of CTB are due September 30, 2014. Anyone can join in the Cook the Books fun by reading and blogging about the book and cooking up a dish inspired by its contents. Just contact me when your entry post is up by commenting on this post and/or sending me an email at eliotseats@gmail.com. If you're new to Cook the Books, check out our About and Guidelines pages or leave a question in the comments here. Please also check out some of the previous Round-Ups for examples of members' posts. Postscript: I am also über excited to be hosting my first CTB selection as an official co-host, so I hope you all enjoy this selection and get inspired to make something romantic, decadent, and delicious. 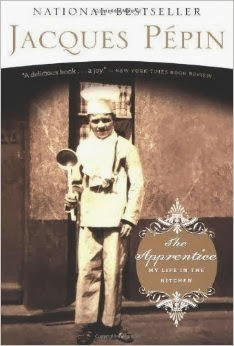 It is no wonder that the legendary chef, author, cooking teacher, and television personality Jacques Pépin inspired our Cook the Books group to make some amazing dishes through his foodie memoir, The Apprentice: My Life in the Kitchen, our June/July book pick. It seemed that Pépin's book and the man himself were universally loved by everyone participating--whether they were a Pépin fan to begin with, or newly introduced to him through his words. 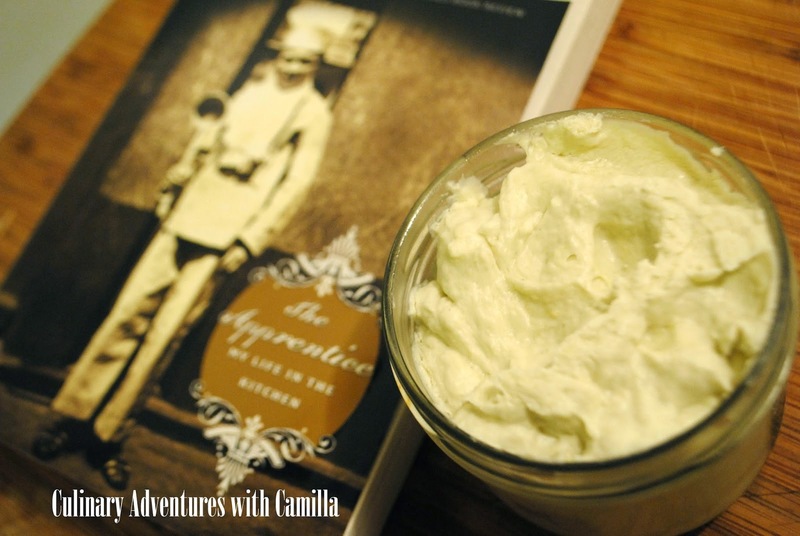 Pépin wasn't on the radar for Camilla of Culinary Adventures with Camilla until she read the book, but she plans to seek him out, especially now that she's tried his Fromage Fort. 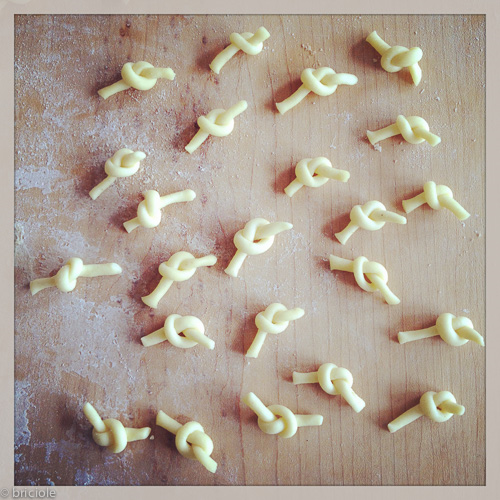 Camilla says, "It means 'strong cheese' in French and it's the ultimate way of repurposing leftover cheese. 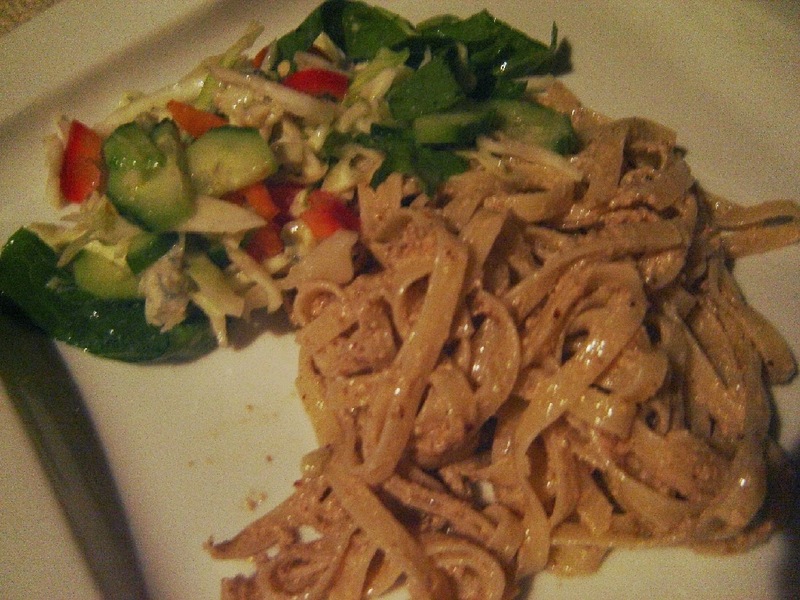 I love revamping leftovers into something completely different. Pépin's father used to combine pieces of Camembert, Brie, Swiss, bleu cheese and goat cheese together with his mother's leek broth, some white wine and crushed garlic. 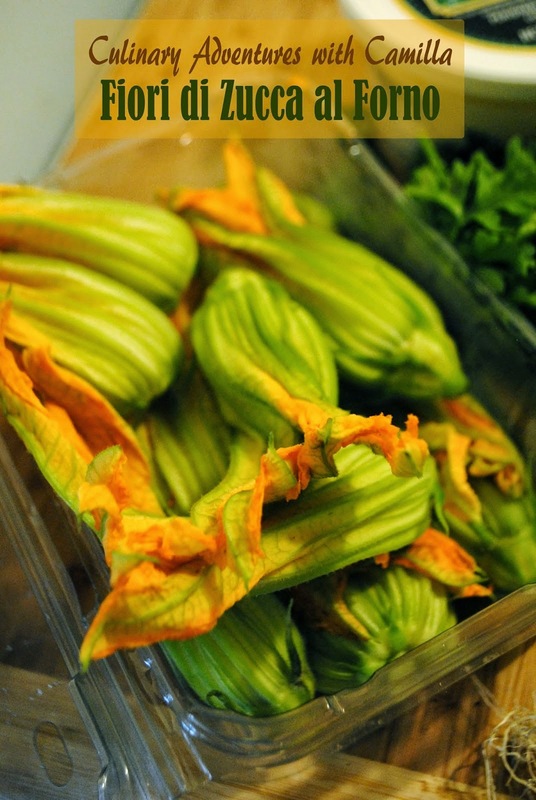 These ingredients marinated in a cold cellar for a week to a week-and-a-half. 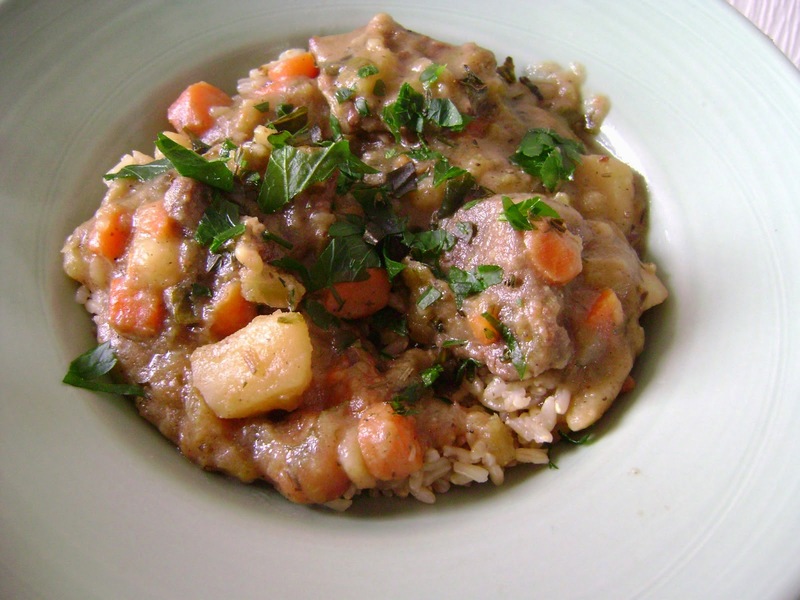 Pépin's wife, Gloria, makes a milder version in a food processor that takes only seconds. It's that version I decided to make." 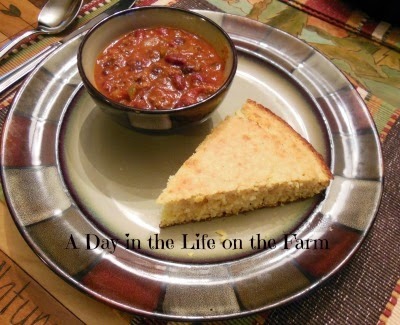 Welcome Wendy of A Day in the Life on the Farm, joining out CTB group for the first time! Wendy says she was "flabbergasted by how much I enjoyed reading the story of Jacques Pepin and his life learning how to be a chef. What a down to earth, kind man he is and what a wonderful family he has." She says, "There were a lot of recipes included in this autobiography but the one I decided to make as a side dish for our dinner tonight was the Semi Dry Tomatoes and Mozzarella Salad. I make Caprese Salads quite often but this salad has a couple of twists so I wanted to see how it compares to others that I have enjoyed." Cathy of Delaware Girl Eats was lucky enough to get to meet Pépin saying, "When I attended a chef’s roundtable, he spoke genuinely about his life working in French kitchens and amiably signed cookbooks afterward. I brought my copy of “Jacques and Julia Cooking Together” and that autographed book holds a special place on my cookbook shelf." 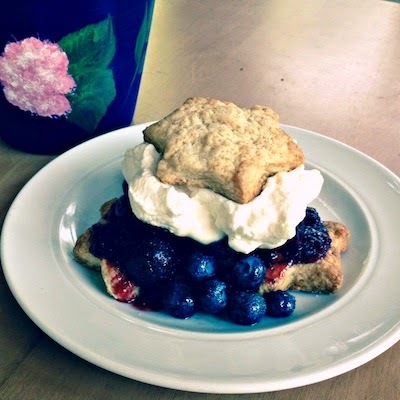 Cathy made this gorgeous Bastille Day Red White and Blue Dessert and said, "It features blueberries, which have just come into season in nearby New Jersey. They are a delight dressed with nothing more than a little sugar and whipped cream in this dish which perfect to serve on a sultry July day." My fellow Hawaii food blogger Claudia of Honey From Rock says, "...what an entertaining writer he is! I have to think when I've so much enjoyed a memoir." 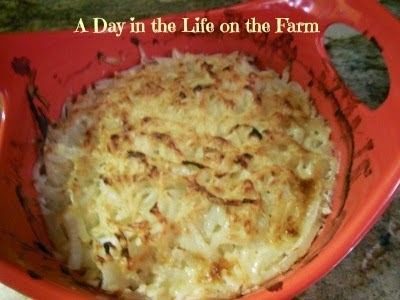 It inspired a lovely dinner of Potato Turnip Galette with Roast Chicken. Claudia says, "What came most powerfully to mind for me was the lovely smell of roasting chicken, I don't know why. Especially when liberally covered with chopped garlic, rosemary, salt and pepper, inside and out. ... In another place he writes of a galette (a flat cake) made of potatoes and mushrooms, so I decided to do a combination galette/gratin, one layer of grated potatoes and turnips, with a bit of onion, and milk, topped with Gruyere cheese, to go with the roast chicken." CTB co-host Rachel, The Crispy Cook, was inspired to make Jacques' Venison Revenge Ragout, saying "...I decided to create something with venison, in reference to the most harrowing incident related in the book: Pepin's nighttime car accident with a deer that left him with a broken back, two broken hips, a broken leg, cracked pelvis and a left arm that was so badly fractured that his surgeon considered amputating it. What an ordeal! But Pepin doesn't dwell on that incident, and segues into his subsequent experiences in teaching cooking classes, working with corporate clients and writing cookbooks. But I feel Jacques should have his revenge against that kamikaze deer with a venison dish, so I pulled some venison stew meat that we had in the freezer care of Dan's hunting cousin and put together a delicately seasoned venison stew." Tina of Squirrel Head Manor says, "I didn’t know anything about Jacques Pepin’s personal life, his childhood or training in the culinary industry. After reading this book I know so much about him and enjoyed each and every chapter." 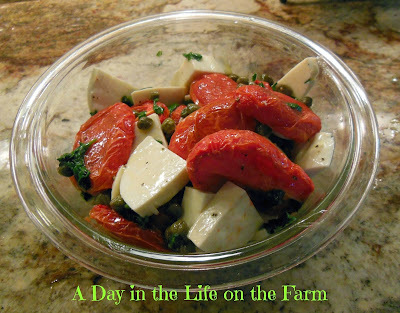 The simple but flavorful Semi-Dry Tomatoes and Mozzarella Salad called to her, she says, "Recipes follow each chapter so there are many to select and drool over. French cooking doesn’t have to be complicated. Any of the French cookbooks have call for absolute simplicity and this is what Pepin delivers." CTB co-host Simona of briciole just caught a brief glimpse of Pépin and Julia Child on television years ago but found his memoir "quite a pleasant read, seasoned with a nice dose of recipes." 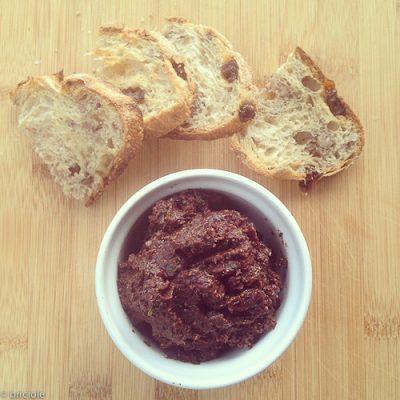 Simona made the unique Tapenade with Figs and Mint, saying, "Pépin's version has two unusual ingredients: dried figs (fichi secchi) and mint leaves (foglioline di menta). When blended with the traditional components of tapenade, the two newcomers create a multi-layered flavor in which the sweetness of figs, the saltiness of preserved olives, the tanginess of capers and anchovies, the fresh aroma of mint (with a light citrusy note in my case) and the richness of olives and olive oil create a combination that surprises at every bite." 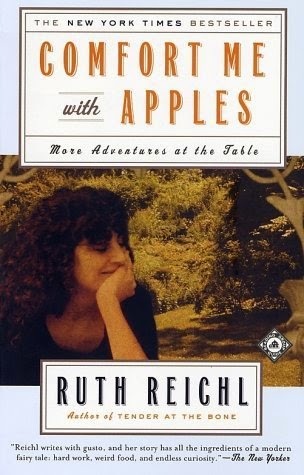 The book led to many pop culture connections to Jacques for CTB co-host Debra of Eliot's Eats. (Check out her very humorous post to see!) She says, "What struck me the most about The Apprentice is Pépin’s humor (much of it self-deprecating). He isn’t above describing his humorous misadventures and foibles." 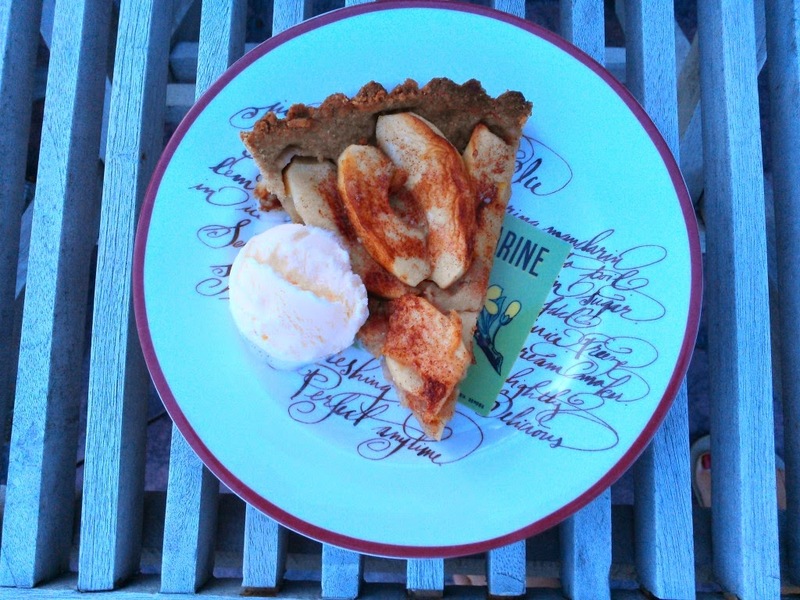 For her dish, Debra chose to make a French and American classic inspired by Pépin's maman saying, "What’s more American than apple pie so I decided on Pépin’s recipe of his mother’s Apple Tart. (Besides, The Hubs loves apple pie.)" Finally, it will come as no surprise to most of you that over at Kahakai Kitchen, I took inspiration in a bowl of soup--Pépin's recipe for Tomato Chowder with Mollet Eggs. I just cannot resist a dish with runny egg yolk or a soup with toppings and it was a chance to try a new technique. Jacques says, "...mollet (moll-ay) eggs are similar to poached eggs in texture, with runny yolks and soft whites. The eggs are cooked in their shells in barely boiling water for about 6 minutes, then thoroughly cooled and carefully shelled." My shelling technique needs work but the resulting soup was one of the best soups I have made/eaten in quite a while. Thank you Jacques! If it is possible to gain weight from putting together a roundup I am sure I just put on more than a few pounds from the descriptions of all of these incredible dishes. I think Pépin would be proud of all of us! Thanks to everyone who joined in this round of Cook the Books. 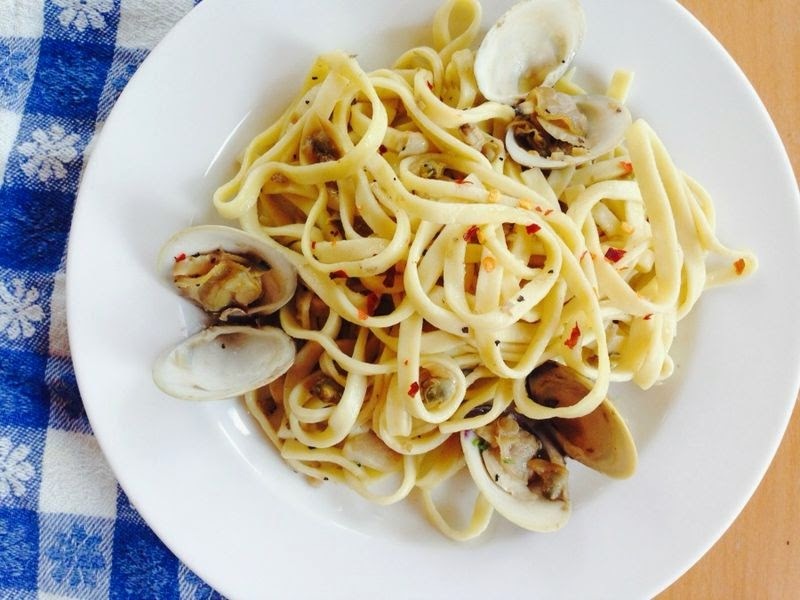 Please join us for August/September when we will be journeying to Italy for A Thousand Days in Venice, by Marlena De Blasi hosted by Debra of Eliot's Eats. I was off-the-rock (aka Hawaii) and back for meetings in my old stomping grounds of Seattle in 2004, having dinner at the house of one of my favorite and coolest foodie friends and former co-worker. She had just finished The Apprentice: My Life in the Kitchen by Jacques Pépin and offered up her copy, saying how much she liked it and how she thought I would enjoy it. Mary is the person who way-back-when introduced me to the perfection of crisp and bright green haricots verts (growing up at my house they were slightly mushy, olive-colored, and called green beans) and taught me the joys of creamed baby leeks and the swoon-worthy pairing of figs and dark chocolate. The week she moved to Seattle from San Francisco, she pulled a heavy pan and a container of aborio rice from her boxes and effortlessly stirred together a simple but amazing risotto (my first) while we drank wine and caught up in her mostly unpacked kitchen. Based on my experience, if it was food related and Mary said I was going to love it, it was pretty certain that I would. This proved true with The Apprentice. It's hard not to respect Jacques Pépin and be charmed by his warmth and amazed by the career he has had in his over half-century of cooking from his first apprenticeship in a restaurant at the age of 13. Now approaching the age of 79, Pépin is a prolific chef, teacher and author, writing over 20 cookbooks and hosting or co-hosting 13 different cooking shows over the years. 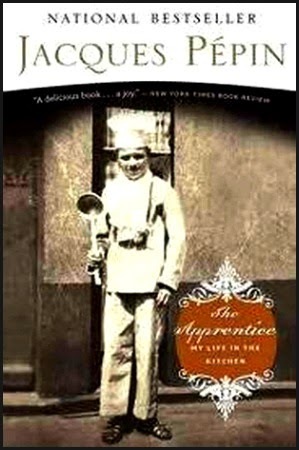 In The Apprentice, Pépin, tells of growing up in France and working in his mother's kitchens, his time spent training and cooking in Paris, his move to the United States in 1959 and many stories of the kitchens and the people he worked with--including some of the greats like Craig Claiborne, Julia Child, and James Beard. Going through my stacks of hoarded books library, I came across my gifted copy and had the urge to re-read it and make it our June/July 2014 CTB selection. I hope you all find it as entertaining and engrossing as I do. (Hey, even Anthony Bourdain called it "an instant classic!"). 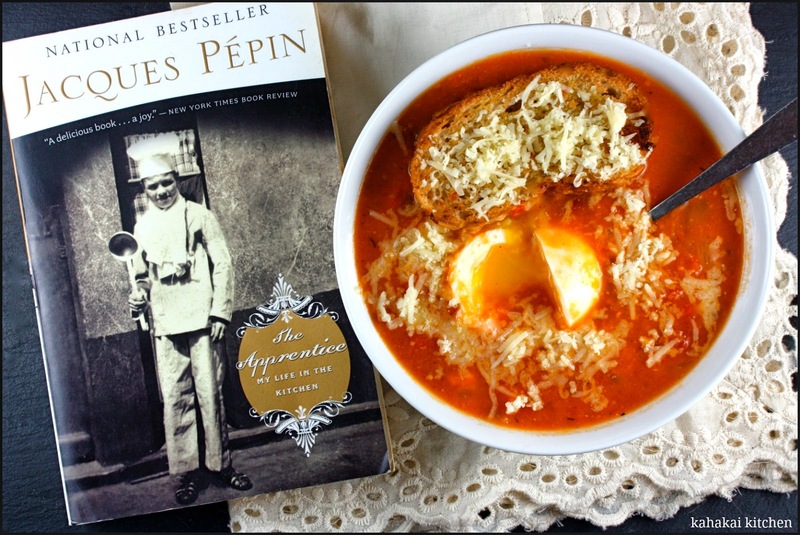 I'm sure there will be plenty of cooking inspiration to be found with the inclusion of some of Pépin's favorite recipes in the book--not to mention the vast amount of recipes available in his plethora of cookbooks and online. Submissions for this round of CTB are due Thursday, July 31, 2014. Anyone can join in the Cook the Books fun by reading and blogging about the book and cooking up a dish inspired by its contents. Let me know when your entry post is up by commenting on this post and/or sending me an email at: debinhawaii@gmail.com. 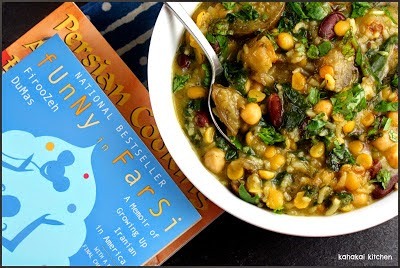 It's time to lay the virtual table with sumptuous and colorful linens for our Persian feast, inspired by our April/May 2014 book selection, Firoozeh Dumas' memoir Funny in Farsi. We had not yet explored the cuisine of Iran and its Persian heritage here at Cook the Books, so this account of the author's childhood experiences in Southern California as an Iranian-American gave us just the opportunity. I chuckled at her characterization of Berkeley. Having lived there for 5 years for college, I would agree with her assessment - Berkeley wasn't just any armpit, it was an armpit in need of a shave and a shower, an armpit full of well-read people.... Don't get me wrong, I love Berkeley. But her characterization is accurate. I think that's where her humor succeeds. She tells it like it is. Camilla notes that Iranians use rhubarb to add sour elements to savory dishes and she followed up on this aspect with a beautiful Radish, Rhubarb and Strawberry Salad. If you have a family that you love but that sometimes embarrasses you, you have traveled or spent time in/with another culture or country, or even if you just grew up in America, you'll recognize and connect with the author's experiences and enjoy this book. Deb's Persian-inspired contribution to our feast is a fragrant Chickpea and Herb Soup with Eggplant. 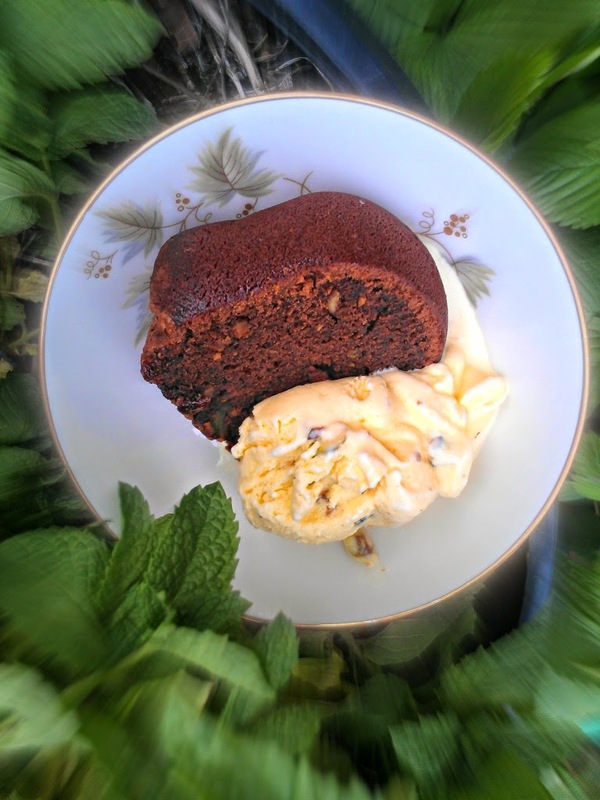 Debra wisely chose to bring a luscious dessert to our feast: Persian Ice Cream, perfumed with saffron and rosewater, paired with a slice of Chocolate Bundt Cake. I expect a memoir to go beyond a series of vignettes and give the individual experience a universal flavor. This did not happen for me with Funny in Pharsi. Simona made a vibrantly-colored, Persian-inspired, Black Beluga Lentil and Vegetable Soup. 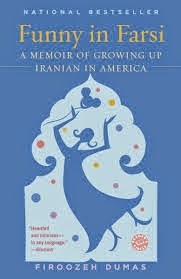 A warmly funny memoir of her life growing up as an Iranian immigrant to America, I found this a very pleasant read. Even the parts that had the potential to be quite painful were told with a kindness and generosity of spirit that I found really winning. 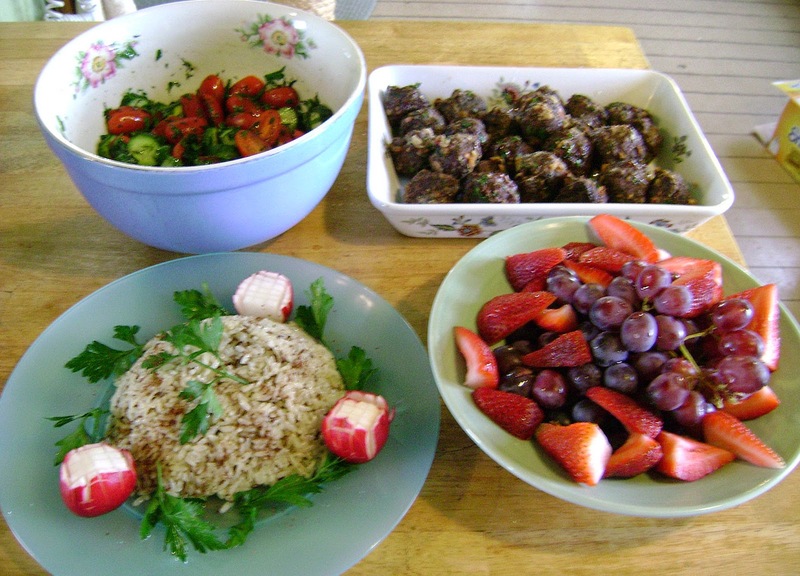 Foodycat made an aromatic meal of Lamb and Sour Cherry Meatballs, Tomato Salad with Pomegranate Mayonnaise, Saffron Rice and Carrot Salad. How transporting! Back at The Crispy Cook, I wrote about how I loved Dumas' descriptions of her lovable, dreamer dad, Kazem. He is such an interesting mixture of intellect and childish enthusiasm. He was a petroleum engineer back in Abadan, Iran, and later earned a Fulbright Scholarship to continue his graduate education in the U.S. It was during his American sojourn that one of his professors took him on a road trip to Princeton where he met (and flummoxed) Albert Einstein. After launching into a endless monologue of his American experiences, Einstein was rendered somewhat speechless. Or perhaps he took a mental vacation to hone his Theory of Relativity during Kazem’s "year's allotment of conversation". Like Alicia, I also had Persian meatballs on my mind, though mine were spiced with cumin, coriander and sumac. As a lifelong East Coaster, California seems to be a world unto itself, so I could relate to the author’s lighthearted stories of her bewildered encounters with California traditions. Most of all, I enjoyed her stories about family food traditions. I loved her depiction of the Persian kitchen, marked by the constant desire to feed the people you love, whether they are hungry or not. 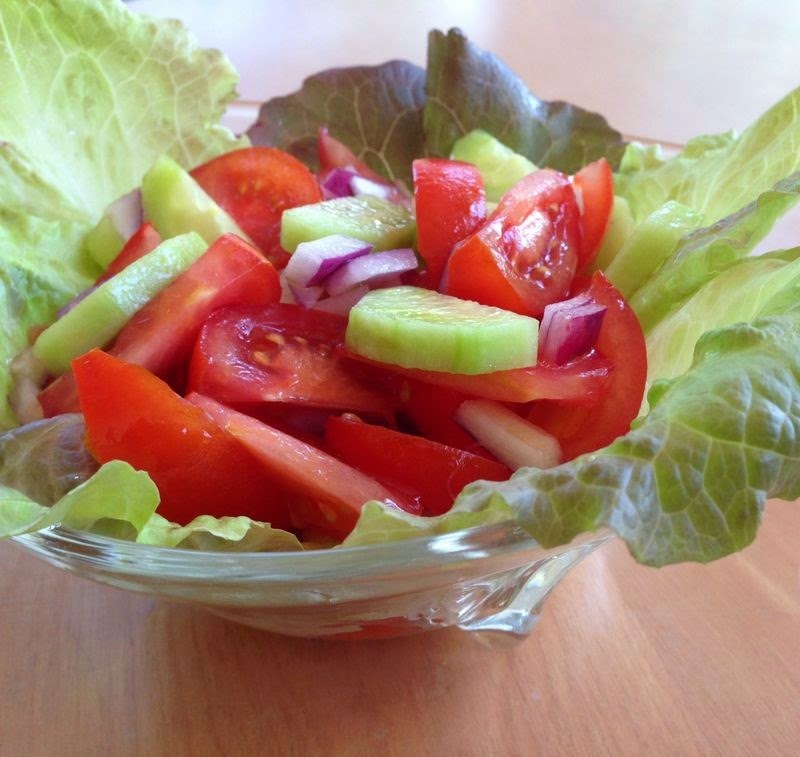 A refreshing Shiraz Salad with Tomatoes and Cucumbers is her addition to our Persian feast. It was indeed funny, lively and insightful as well. Moving to America at the age of 7, back in 1972, and popped right into public school, was an eye-opening experience for a small girl, especially for one who did not speak English. What she remembers from that first day - "The bathrooms were clean and the people were very, very kind." But you have to read the whole story to appreciate. Claudia made the dish Lamb in Pomegranate-Cardamom Sauce, which unhappily did not live up to expectations. Our next Cook the Books selection will be The Apprentice: My Life in the Kitchen, by Jacques Pepin. 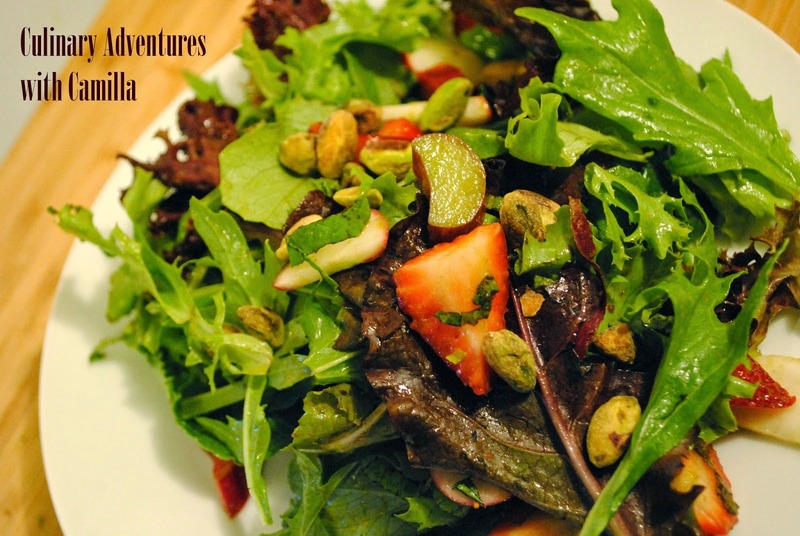 Deb of Kahakai Kitchen will be our CTB host and deadlines for posts are due July 31, 2014. Come join us in reading, blogging and cooking up this great book!